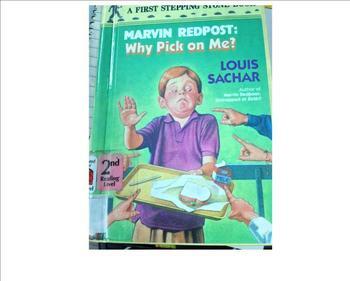 This is a video book commercial for the book Marvin Redpost: Why Pick on Me. It was created by a librarian using Windows Movie Maker. The file is a Windows Media File and is 3 minutes, 27 seconds in length. This is a great beginning chapter book and perfect for students in grades 1-3!